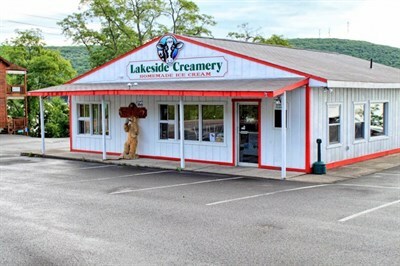 Old-fashioned ice cream parlor offers over 90 different ice cream and sherbets made on-site with fresh fruit in season is made locally and churned here. expect a long line, but it's worth it, always very busy in season. the ice cream is wonderful, so totally worth the wait. Awesome value of the Lake following a short line inside getting your favorite flavor in a bowl or a cone. I stopped in for a quick snack and really liked the shake I got. Service was good and the staff was friendly.